Our businesses all depend on the premise that people can read, want to learn and enjoy doing it. We therefore have a keen interest in doing all we can to nurture enthusiastic readers. Being able to read has a profound influence on how people progress in modern life. How well you do at school, what job you get and how you get involved in civil society all depend on being literate.Readingis the basic building block that opens the door for people to realise their individual potential. This is why raising literacy levels is one of our three priority focus areas. There is also a lot to do. Around the world, one in five adults - nearly 800 million people - cannot read. Most of them are in poorer areas of the world.Africa, as a whole continent, has less than a 60% literacy rate. Countries with large numbers of non-literate adults include India, China, Bangladesh, Pakistan, Nigeria, Ethiopia, Indonesia and Egypt. However, it would be a mistake to think that not being able to read is only an issue in developing economies of the world. According to the National Adult Literacy Survey, there are some 40 million adults in theUnited Stateswho cannot read or write well enough to deal with the everyday requirements of life. Similar research suggests that one-fifth of adults in England have difficulties with basic literacy. Our reading programmes - both print and digital - are found in classrooms the world over. For many, the first story that they read or that is read aloud to them will be a Penguin title. We partner with others to run projects and campaigns to promote reading and to give books. We have a full range of reading programmes designed to help students to learn to read. Whether these are print or online, whole school or for students that need extra help, they all reflect our commitment to improving reading standards for individual learners. Bug Club is a ground breaking whole-school reading programme that links 300+ books with an online reading world to teach today's children to read. It is phonics-based which means students learn to read by recognising letters and words through sounds. Bug Club is carefully graded to allow individual students to develop and progress at their own pace. Bug Club is available in Australia, Hong Kong, Russia as well as the UK. Bug Club won the 'Best Use of Multimedia' award at the British Book Design and Production Awards. 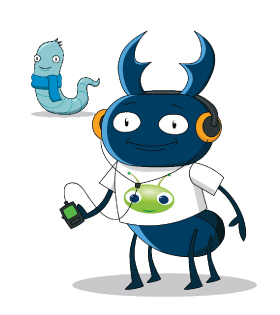 Introduced in 2010, Bug Club already has 145,000 registered online users. Pearson's iLit programme is like no other reading programme. 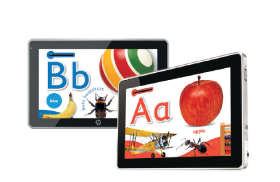 Designed for struggling readers it is the first reading programme built and delivered completely on the iPad. It supports, rewards, engages and instructs based around the learning needs of the individual student. 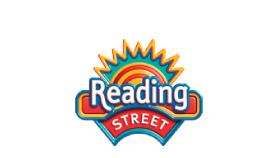 Reading Street is on the front line of improving student reading skills in thousands of schools in every state in the United States.Reading Street, available as a print, blended, or fully digital programme, combines research-based instruction and embedded assessment with videos, animation, activities, songs and audio to engage and motivate students. It is designed to allow teachers to personalise instruction for every child. 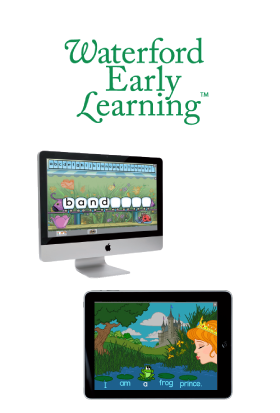 Waterford Early Learning™ is a digital learning programme designed to help all children learn based on each child's unique learning needs, whether gifted or in need of extra support. Through thousands of activities, hundreds of books and songs, DVDs, CDs and newsletters, the Waterford Early Reading programme draws on decades of research to develop comprehension, vocabulary and an understanding of language concepts. Pearson has partnered with the non-profit Waterford Institute for a decade. Waterford focuses on research and development while Pearson markets and sellsWaterford's educational products to schools. In addition to reading, courses on Science and Mathematics are also available. Two million users are registered with Waterford Early Learning. SuccessMaker is a digitally driven set of courses tailored to the needs of the individual learner that supplements regular classroom reading and mathematics instruction. It combines one-on-one instruction, fun ways to engage and involve students and progress reporting for the teacher to aid timely intervention. From its initial development 30 years ago, through to ongoing improvement of the product usability and efficacy testing, the research that went into SuccessMaker constitutes the biggest ongoing research effort to date for any of our digital products. SuccessMaker received the 2010 'Tech & Learning' Magazine's Award of Excellence. Over three million users are registered on SuccessMaker. Enthusiastic readers are inspired by great stories, beautifully told. Our Penguin children's books imprints - Puffin, Frederick Warne and Ladybird books - all provide plenty of options. Reading today is changing. Children today read in many ways; at home and on the move. We believe in offering stories that are beautiful, engaging and fun regardless of format. One of the great opportunities presented by mobile devices is to reach learners at home and on the move. As part of the launch of Apple's education iBookstore, we published four interactive DK titles including My first ABC. Through widgets, video, animations and questions, the book breaks new ground for parents to help a child to learn their first words. For millions of people the world over, Ladybird Books are known and loved. As the most recognisable brand in children's books, they play an essential role in helping kids to learn to read and to discover the magic of books. 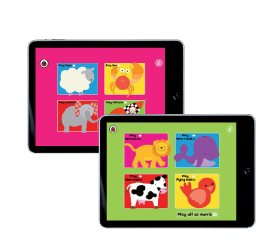 Ladybird today offers its widest ever range of formats and styles from birth to eight-years-old including its baby touch app. Ladybird's award-winning baby range is informed by the latest research relating to how babies learn and respond. The toddler list uses rhyme, stories and songs in interactive formats to give children a head start in learning. Boys are often thought to be more reluctant readers than girls. To learn more about the issue, we commissioned a survey of UK teachers. One finding was that book length was a barrier. Some 70% of the 500 teachers surveyed said that boys had switched off by the 100 page mark. We have responded by developing the heroes series - short, accessible stories that can be read in class over six weeks. 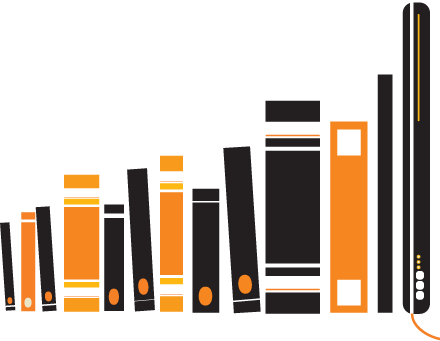 In the United States, Penguin has a site dedicated to books for boys. It provides book ideas based on themes from action and adventure to creepy crawlies; by age and by popular series. Penguin organises thousands of visits by its authors to schools and libraries each year helping bring alive the stories. A parent reading aloud with their children is one of the most powerful ways to boost vocabulary and language development, according to research we commissioned as part of our Booktime programme. Books inform, educate, but also inspire. We believe that a passion for reading is one of the greatest gifts that anyone can give and recognising that, a central pillar of our charitable programme is to offer access to free books to provide opportunities for shared reading. We gave our sixth millionth book under our Booktime programme, which sees every child in England starting school receive a book pack containing two free books from Penguin and Pearson Primary to take home, read and keep. 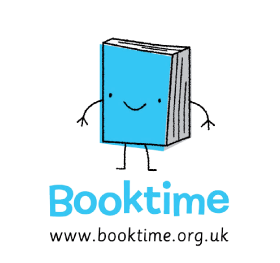 More than 17,000 primary schools are involved and more than 1,000 libraries hold Booktime events. Run in partnership with Booktrust, our distribution centre in Rugby send out the books, our customer services teams support schools and our authors freely give their time as well as waiving royalties on their books. We are about to give our one millionth book to Book Aid, the charity that supports the development of libraries in schools and local communities in sub-Saharan Africa. One in five of the books donated to Book Aid come from Pearson or Penguin, helping benefit more than 2,000 libraries last year alone. As well as giving free books, we also funded three projects to help develop library services in schools and communities in Zanzibar, Uganda and Kenya. 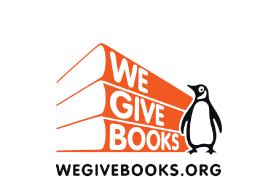 Over 600,000 books have been given through Wegivebooks.org, an award winning online digital reading and giving site developed and run by the Pearson Foundation. The concept is simple, to reward a reader for reading a Penguin or DK book online, the Pearson Foundation will donate a physical book to a range of causes. The reader selects the cause that most appeals. The initiative is a perfect combination of reading and giving. 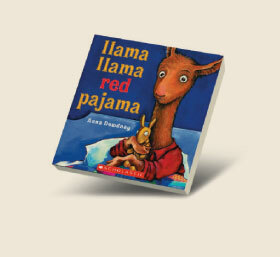 2,184,155 people read Llama Llama Red Pajama by Anna Dewdney in the 2011 Read for the Record™ campaign. The Pearson Foundation is a funder and founding partner of Jumpstart's Read for the Record. People read in homes, schools, libraries, community centres and through We Give Books. The Pearson Foundation also donated more than 200,000 copies of this year's book to young people helping them take part in the record-breaking day. Why does elephant have a trunk? 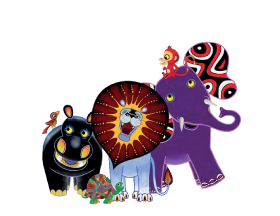 Tinga Tinga Tales, a BBC 52-part series based on classic African folk tales of how animals came to be, supplies the answer. 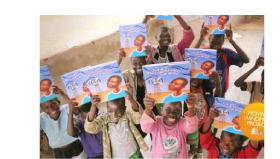 The Pearson Foundation has also created a fantastic Early Child Development programme for primary school teachers in Tanzania and Kenya using the Tinga Tinga Tales books and films. Puffin produces the books that accompany the series. This year, Why does elephant have a trunk? was also the Penguin title in the Booktime pack. As part of Wegivebooks.org, readers can read a Tinga Tinga Tale online and send a Tinga Tinga Tales book to Africa. A ground-breaking partnership with the Dollywood Foundation. Over 23 million age appropriate books have been delivered - one each month to every child under 5 in participating communities.